Emission-free, energy-efficient and low-noise – the new battery-operated train from Bombardier Transportation, introduced to the public for the first time on September 12th, scores with these features. 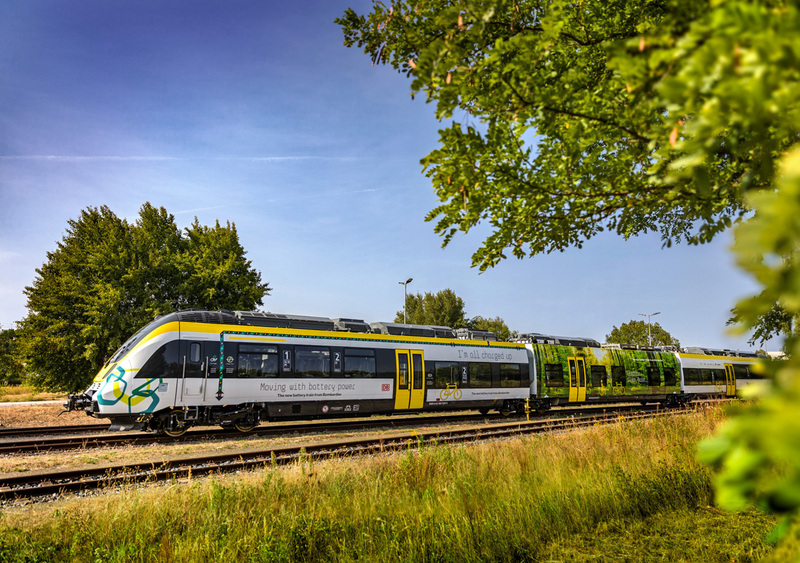 A group maiden voyage with the BOMBARDIER TALENT 3 electro-hybrid train was the highlight of the press event at Bombardier’s Hennigsdorf site. The guests included Enak Ferlemann, State Secretary at the Federal Ministry of Transport and Digital Infrastructure and Federal Commissioner for Rail Transport as well as the Brandenburg Transport Minister Kathrin Schneider.